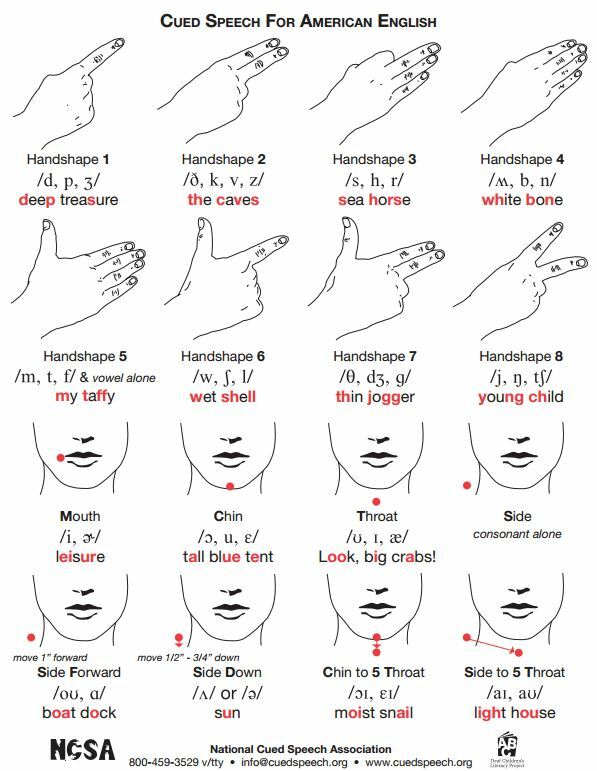 The National Cued Speech Association (NCSA) defines Cued Speech as a mode of communication that uses hand shapes to represent consonant phonemes and hand placements to represent vowel phones, building blocks of a language, along with natural mouth movements to remove the ambiguity of lipreading, and to clearly show spoken information through vision alone. Dr. R. Orin Cornett developed the Cued Speech system in 1965-1966 with the primary goal of improving reading comprehension and to promote literacy for deaf children. Cueing provides access to accents, dialects, rhymes, and fun or nonsense words. Using the language of the home, parents are able to communicate naturally with their children while cueing. Since American English is the language of instruction in the US, cueing provides access to that language. Cued Speech is not a language, but a visual mode to provide access to a spoken language. Cued Speech has been adapted to more than 67 languages and major dialects. Cueing can be used to make foreign language learning an attainable goal. Cueing is not based on spelling. It shows pronunciation and it can be used to correct one’s pronunciation. Cueing does not interfere with auditory processing and validates the auditory message. As a mode of communication at home and at school. 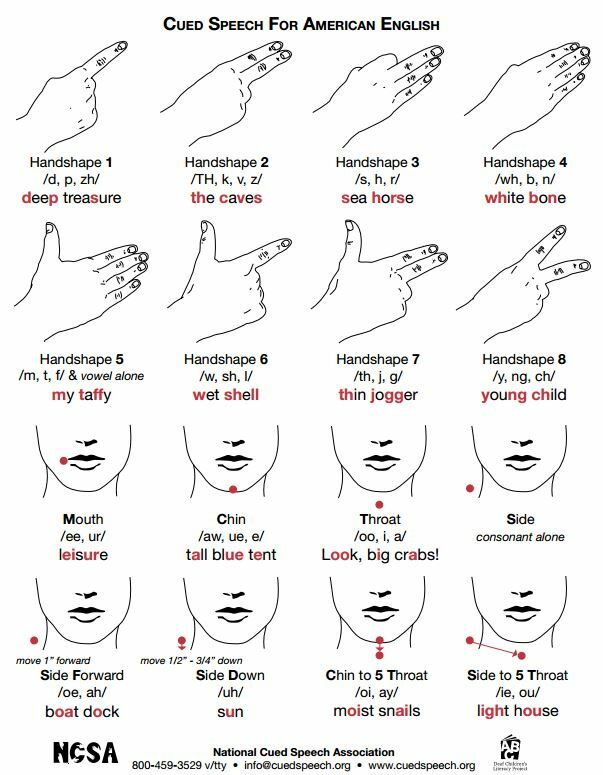 To validate target sounds during speech and language therapy. To assist children with special needs (such as children with Autism and Auditory processing disabilities). To provide children who are deaf and hard of hearing with a Bilingual education: Cued American English and American Sign Language. Parents, who cue consistently to their deaf children at an early age using the language of the home, provide a visually rich environment. These children learn language the same way hearing children do. Adults and hearing parents could learn Cued Speech in 15-20 hours. Adults would learn to apply the Cued Speech system to a language they already know. The time it takes to achieve proficiency varies by individual and consistent use. Cueing classes are offered at Cue Camps (weekend retreats) and workshops throughout the country. Teachers of Cued Speech are certified by the National Cued Speech Association to ensure uniform teaching methods.